I’ve been watching with interest the number of SiteBuilder webmasters who are using tag clouds or so-called tag lists on their sites. 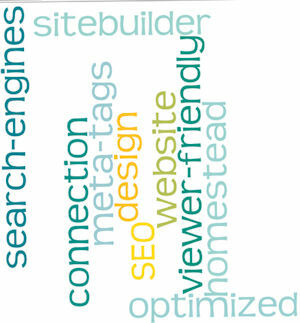 This started in blogs, you can choose to use a tag cloud that shows up in the sidebar on blogs. Each time you write a post you add tags and the tags then show up in either the list or the cloud. The more often a word is used the bigger the font gets. All of these words in the cloud or list are active links. Click on one and any post that used that particular word or phrase in the tags will be shown. Interesting concept, but unfortunately the search engines don’t necessarily see it that way. Consider that Google’s blogging platform, E-blogger, doesn’t employ this technique. That should be an immediate heads up for any webmaster or blogger. What do the search engines see? A conglomeration of words and links that may or may not have anything to do with each other, In ‘the old days’ this was called keyword stuffing and today, while they may be called tags, the search engines can still view the practice as keyword stuffing. Webmasters need to employ the same good SEO practices with tags and tag clouds as they do with key words in order to stay in the good graces of the Search Engines. Google’s guru, Matt Cutts, has a short video about tag clouds that will shed further light on Google’s view of tag clouds. Posted in Keywords, Search Engine Optimization, SiteBuilder Program, Website Design and tagged keyword stuffing, tag clouds. Bookmark the permalink.